Benelli USA has just announced a promotion whereby purchasers of a Stoeger X20-S can receive $70.00 of free Stoeger pellets. 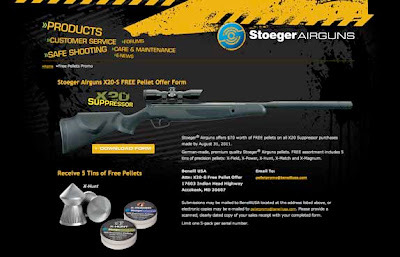 Purchases from Archer Airguns qualify for this promotion, so if you've been thinking about a Stoeger X20-S, this is a great reason to pull the trigger! This is a mail-in promotion and details can be found at this link. If you missed it last year, don't miss this year's Northeast Regional Field Target Championship to be held at Crosman corporate headquarters in Bloomfield, New York! Last year's event was greatly enjoyed by all who participated - you can see the write-ups I made by viewing my blog posts from July 2010. Concentration at last year's event! For many, of course, a highlight of this event is a chance to tour the Crosman manufacturing plant, seeing just about everything that happens there. It's a not-to-be-missed opportunity that gives an excellent insight into airgun, pellet and Powerlet manufacturing. Questions are encouraged - and well answered, the only real restriction is that no photography is allowed inside the factory. 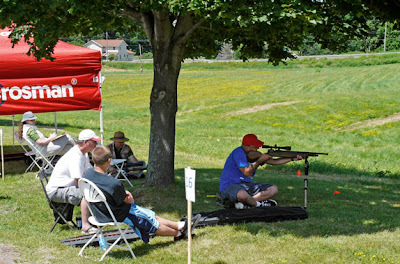 Full details and a registration form can be obtained from the Crosman site. 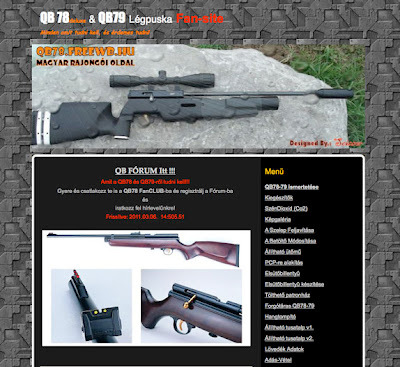 A Left Hand Breech for the QB78 Family! I'm really excited to announce that - for the first time ever - it's now possible to have true left-handed operation with your QB78 family air rifle! Our left-handed breech and bolt kit fits all QB78 type air rifles including the QB79, AR2078 and clones such as the Tech Force TF78, TF79 and SMK XS78 models. This new Archer Airguns left hand bolt and breech for the QB78 is custom CNC-manufactured from solid steel bar right here in Up-State New York. 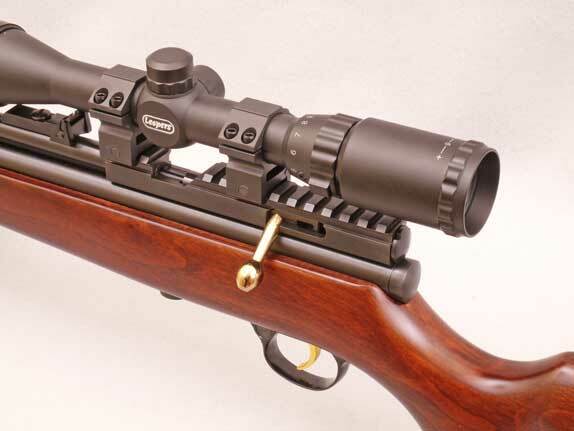 It's also the first QB78 breech to feature Weaver-style slots: with the increasing popularity of Weaver scope mounting, this is another benefit to the new breech. Also included is a left-hand version of our XP Tune Kit bolt - the standard factory bolt only operates in right-handed guns. This accepts factory bolt handles, our Oversize Bolt Handle and a new, left hand version of the Archer Airguns 91/30 bolt handle. As the bolt is included, there's two versions - one in .177, the other in .22 caliber. So, this new kit combines true left hand bolt operation, Weaver-style scope mounting with 12 slots and a 100fps increase in muzzle velocity all in the one package! 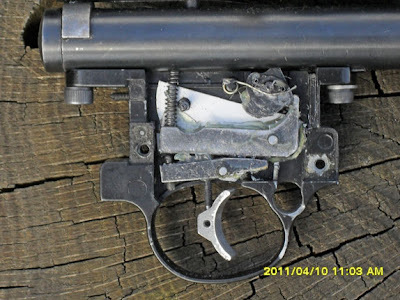 This left hand QB78 breech and bolt kit is easy to install. It's a complete "drop in" for any QB78 family air rifle and requires no fitting, filing or machining. As always with Archer Airguns parts kits, the seals and O rings you'll need to replace during the up-grade are also included. Oh yes, there's also a right-handed version of the new Weaver-style breech available, too. This is supplied without a bolt as any factory or standard (that is, right hand) XP Tune Kit bolt will operate perfectly. 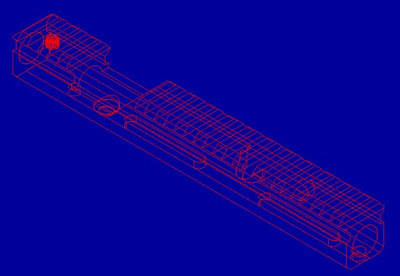 This is the CAD design file for the right-hand breech. Double-click to enlarge. All these new products are available from stock as of today, 15 May 2011. Archer Airguns has just introduced a solution to the "leaking bulk fill end cap" problem highlighted in this blog on 11 February. This new Archer Airguns Bulk Fill End Cap will work with all QB78, AR2078 and AR2078A air rifles, including those with the new vent hole positioned 10mm from the end of the tube. To produce this new bulk fill end cap, the factory product is first completely disassembled. Then a new O ring slot is carefully machined in a precise location on the end cap body. The cap is then carefully re-assembled, with a new O ring fitted in the additional slot. The result is a product that will work when bulk-filling ANY QB78 or AR2078 air rifle, whatever vent hole position has been used in the main tube during manufacture. Of course, this bulk fill end cap also fits the QB78 "clones", such as the Tech Force TF78, TF79 and SMK XS78, allowing them to use bulk fill whatever the position of the vent hole on those air rifles. There are QB78 fans and tinkerers all over the world. To prove the point, here is a photograph of a very interesting QB78 trigger modification that comes from a QB78 fan team in Hungary. 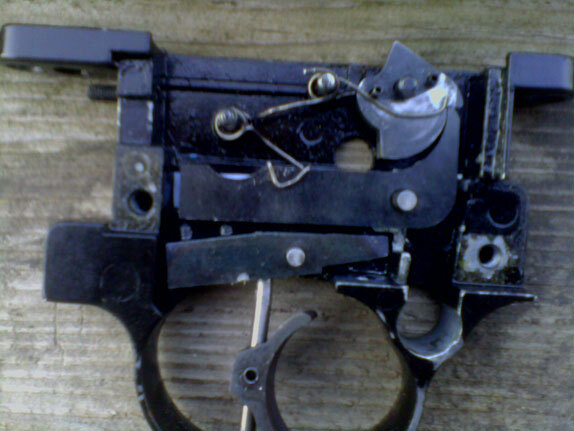 This prototype trigger looks to be a very interesting modification to the standard QB78 trigger with, apparently, a nice, low pull weight. 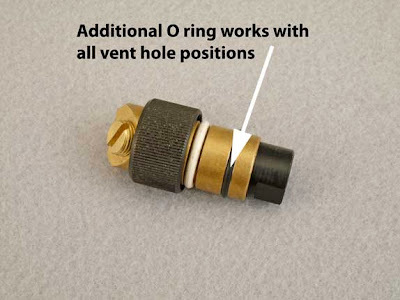 The second photo, below, shows how the design was improved to replace the long compression spring with an alternative closer to the standard QB78 concept.